The Caremax rollator will make getting around so much easier.This rollator comes equipped with hand brakes that help you ease to a complete stop as you walk. The locking mechanism keeps your rollator firmly in place when not in use. You can adjust the height of the handles to meet your personal needs. It rolls front swivel wheels for easy maneuvering and also looks great. This foldable rollator is the ideal space saver, too. The rollator also features a convenient storage bag to keep all of your personal belongings.It is great for holding things such as your glasses, medicine and books. Enhance your mobility and the quality of life with a Caremax premium rollator. 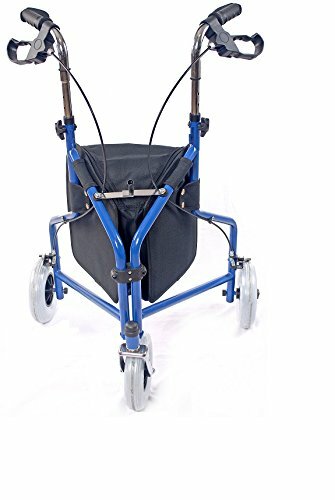 Comfortable and Customizable - The ergonomic hand grip and adjustable handle height help this rollator fit anyone, any size, while the lightweight frame transports easily.